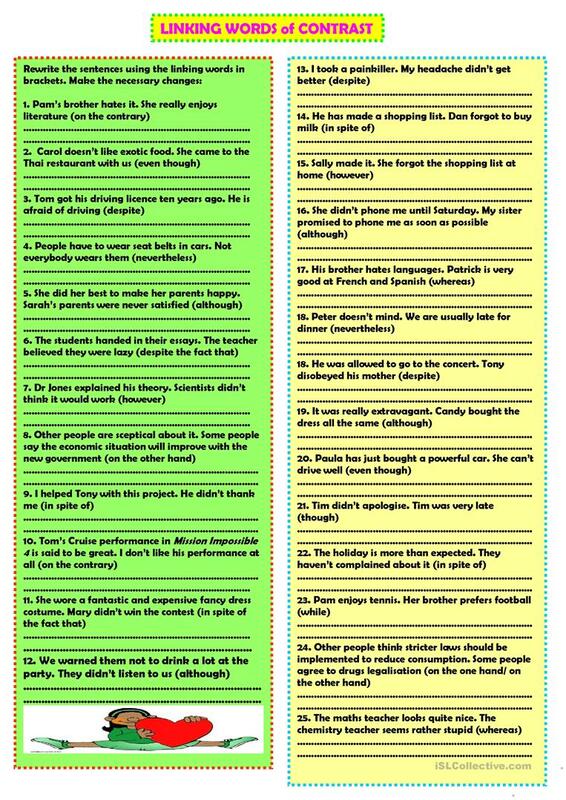 25 sentences to practise rephrasing with linkers of contrast. Hope it''s useful. Thanks Phillip Martin for clipart. The above downloadable worksheet is recommended for elementary school students at Intermediate (B1), Upper-intermediate (B2) and Advanced (C1) level. 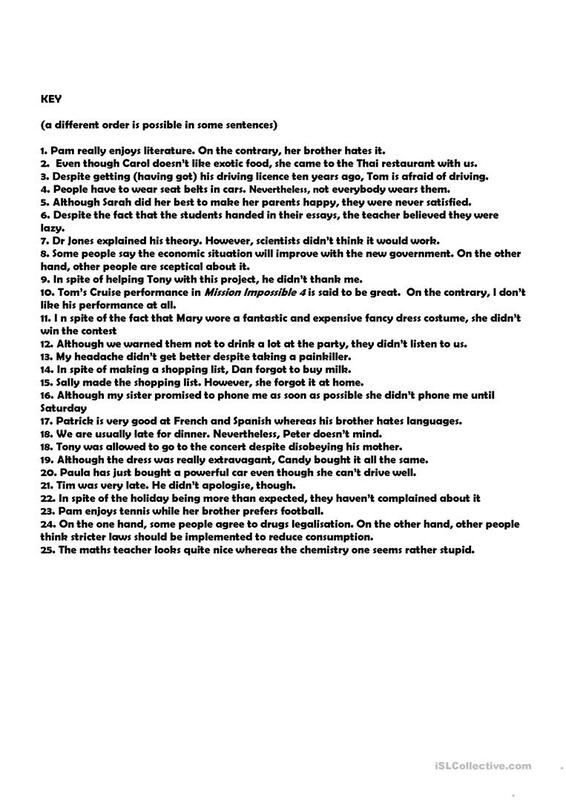 It is aimed at teaching Conjunctions (aka connectives, e.g. and, but, or, so, then) in English. You will find the answers at the end of the worksheet.